In my nature I like to go straight to the core of the software I’m doing, post poning other less important aspects to a later stage of the development. 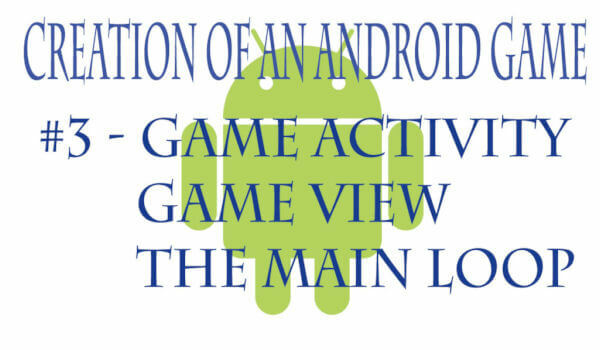 In the game development, the core is the Game Activity, the view that contains the running game itself. Let’s forget for now the main menu, options views, leaderboards and other tasks. An important thing to keep in mind, while preparing the main loop, is that it is stricly related to the maximum number of loops per second you can achieve. This number depends on many factors, for example the hardware running the game (CPU, Screen resolution, …) and the quantity and quality of the graphics (more and detailed graphics require more time to be drawn). In my case, I had no heavy graphics so I concentrated on limiting the number of loops, to avoid a game too fast and unusable. There are plenty of solutions around, but in my opinion sometimes the simplest way is the solution. This gives me about 66 milliseconds to paint all the graphics.. plenty of time.